If Ben Affleck isn’t open to returning to play Bruce Wayne, Samuel L. Jackson can take his place. Michael Bryce (Ryan Reynolds) is considered the world’s top bodyguard. Once a CIA agent, he’s decided to take his skills and profit off of them. He uses his skills to protect some of the world’s most powerful figures, earning “Triple A” status in the process, never missing a detail. He’s the Uber of protecting people, if such a service exists. Two years later, Bryce loses it all as the result of a client losing his life while he was on assignment. Now forced to rebuild everything, his next assignment—or rather only available assignment—sees him protecting a hitman, the free-spirited Darius Kincaid (Samuel L. Jackson). He’s made a mistake and lands in hot water in Interpol custody. 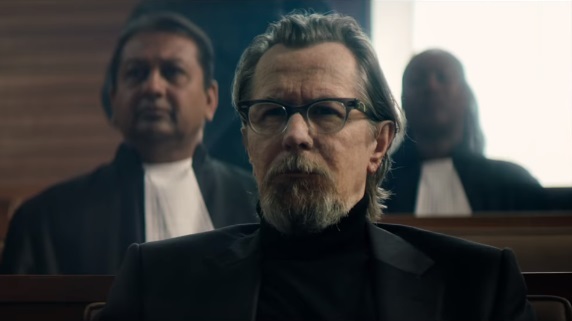 His way out is testifying against ruthless dictator Dukhovich (Gary Oldman) in The Netherlands, but getting there isn’t going to be easy, as Dukhovich’s men will stop at nothing to make sure Kincaid won’t make an appearance in court. The two are very mismatched in personality, but need to lean on each other to save the day, if they don’t kill each other first. The buddy cop genre. It’s a genre that’ll never cease to be out of style, because it’s a genre that can deliver a simple but sometimes memorable time. On the other side of the coin, it’s a genre in which movies in it can easily feel uninspired and fitting of the “middle of the road” descriptor. Though it’s working with big-name talent,The Hitman’s Bodyguard is a slight tick above the Mendoza line in this genre, but only barely. Positives? 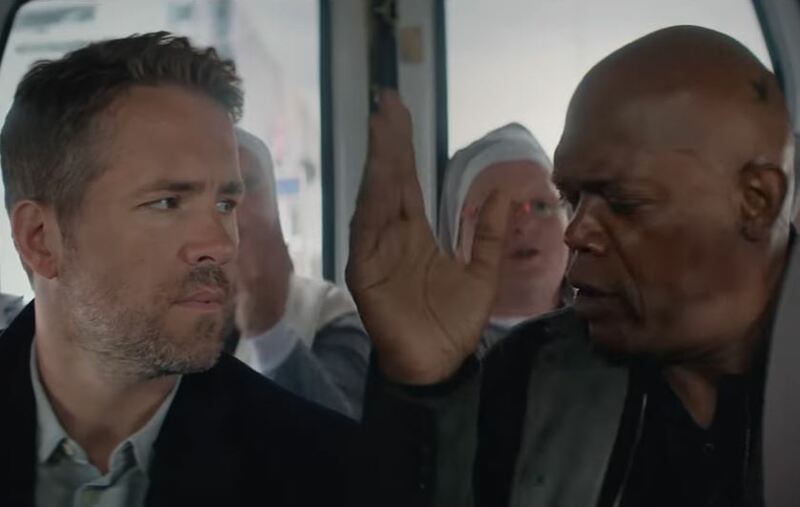 Massive fans of Ryan Reynolds and Samuel L. Jackson will eat The Hitman’s Bodyguard up. The entire movie is built on this uneasy alliance, making it up to Ryan and Samuel to carry the proceedings. This duo carries real chemistry, getting some laughs out of a familiar setup. Nothing from these two that hasn’t been viewed before, though. SLJ is doing his SLJ thing, shouting expletives and having a good time, Reynolds playing more straight and witty, Wade Wilson-esque dialed down to about 3. They’re having a blast, and that makes it a little easier to take in THB, even when the jokes don’t land with the precision of a headshot. Two other big names in Gary Oldman and Salma Hayek fill out the cast, to mixed results. Oldman particularly is a big waste of clout; his turn as a foreign Belarus dictator kind of embarrassing to watch. Hayek has one noticeable scene; otherwise, she’s relegated to dull love interest status just as Elodie Yung is. Again, this film is Jackson’s and Reynolds’ alone, non-fans are highly advised to stay away. Aside from the comedy, action plays an equal significant part of The Hitman’s Bodyguard. On that front, it is adequate. Directed by The Expendables 3 director Patrick Hughes, for every good sequence, (the chase sequence is the best of the bunch) there’s one in which the action is sadly hard to follow due to shots that are too close-up. Hughes does some good stuff, however. Surprisingly, flashbacks are used moderately and most of them add a little meat and even heart to both of the lead characters. Midway through, the question of morality is raised as to who’s the good guy and the bad guy out of this tenuous partnership. It’s a little compelling, but not something that is fully explored by the end of the movie. 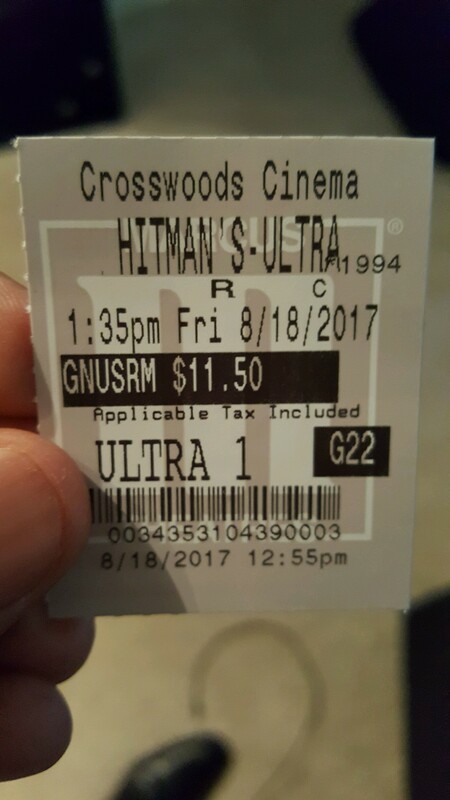 The Hitman’s Bodyguard runs long, too. Way too long for this average plot. Two hours gets up there, felt mainly in the first 20-30 minutes. Quite a while it takes to get moving. Honestly, this could be a 90-100 minute romp, and it would be all the better for it. Almost two hours has THB stumbling over landmines at times with regards to tone. 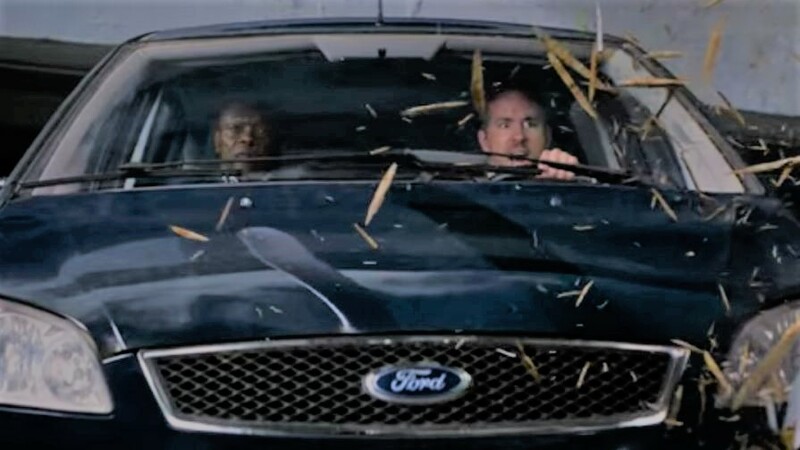 Not bulletproof but providing a little bit of the entertainment factor, The Hitman’s Bodyguard hits something. Just not center mass. Photo credits go to deadline.com, pointofgeeks.com, and denofgeek.com. Two hours? Bloody hell, that’s a ridiculously long time for a film like this! For real, Mark. 15-20 minutes shaved off of this would have worked wonders in my opinion. Few comedies work with longer runtimes.